Break Away Book Club Edition, 9780253020628, 188pp. After the Plains queered him, Dave Madden decided to return the favor. This outstanding collection of short stories tells the tale of a different kind of difference--one not set in the glittering lights of New York or Los Angeles, but in the grand and wide American Midwest. For Madden's characters, their queerness is part of the environment, like the soil, the sky, and the supermarket: an HIV-positive chemist uses football to connect with his brothers; a 17-year-old girl tussles with a cartoon cobra to avoid thinking about the mother who abandoned her; and a hotel concierge starts attending Mass even though his partner was molested by a priest. 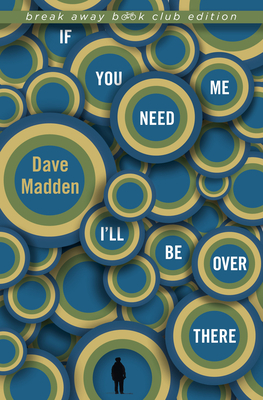 In seeking out the ordinary struggles of extraordinary people trying to figure out their place within families and communities, Madden masterfully explores what it means to be an outsider always looking in. Dave Madden is author of The Authentic Animal: Inside the Odd and Obsessive World of Taxidermy. His shorter work has appeared in Harper's, Prairie Schooner, The Rumpus, DIAGRAM, The Normal School, Denver Quarterly, and elsewhere. He is the recipient of the Sherwood Anderson Award in fiction, an AWP Intro Journals Award in nonfiction, a Bernard De Voto Fellowship at the Bread Loaf Writers' Conference, and a Tennessee Williams Scholarship at the Sewanee Writers' Conference. He teaches in the MFA program at the University of San Francisco.